Providing you the best range of used iron drum and used hdpe container with effective & timely delivery. Based on our immense industry experience of 52 years, we are able to establish ourselves among eminent traders of Once Used plastic can, drums and containers in nationwide markets. 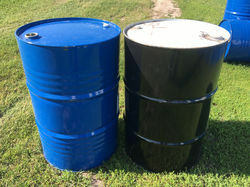 Apart from this, we also offer tin barrels,, having high capacity and versatile applicability. Our range of products is renowned in the industry for its high capacity, impact resistance, easy handling and durability. We have employed a team of dexterous procuring agents, which is engaged in striking a cost-effective deal with the vendors. Our procuring agents ensure that the products, supplied by the vendor must be of superior quality and as per the specified details. The qualitative range of products, offered by us finds diverse application in burn barrels, barrel racing, deer feeders, storage and construction. Moreover, over the years, we have gained the trust of reputed clients by maintaining the quality of products as per the set quality standards of the market. Our widespread clientele includes names like Raj Lubrication, Pentagon Lubrication, Sigma Corporation, Hincal, IWL India Ltd. and Petro Tec. 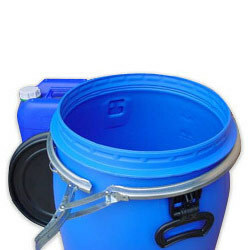 We are one of the leading suppliers of once used premier quality HDPE container. These are manufactured using advanced technology and superior material at our vendor's end. Our clients can avail these containers in in standardized capacity of 60 liter. Moreover, these are offered at highly subsidized range in numerous dimensions.